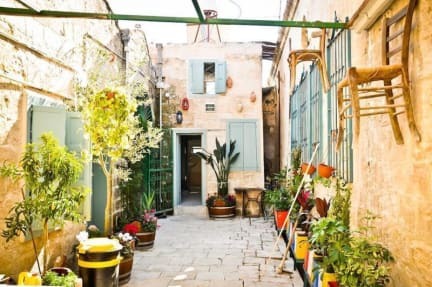 Simsim Guesthouse i Nazareth, Israel: Reservér nu! simsim guesthouse / backpackers is designed for budgeted travellers. There are mixed dorms as well as a female dorm option in an authentic early 20th century atmosphere. The house is renovated in a modern and colourful way. The house is located inside the market in the middle of the old city of Nazareth. Guests love to bring fresh vegetables from the market to cook and share.